Once oil is hot, add onions, peppers and sliced mushrooms. Cook until tender. Meanwhile grill steaks seasoned with salt and pepper. Chop greens and mix together dressing in a bowl (combine all ingredients with a whisk). Drizzle dressing over greens and plate. 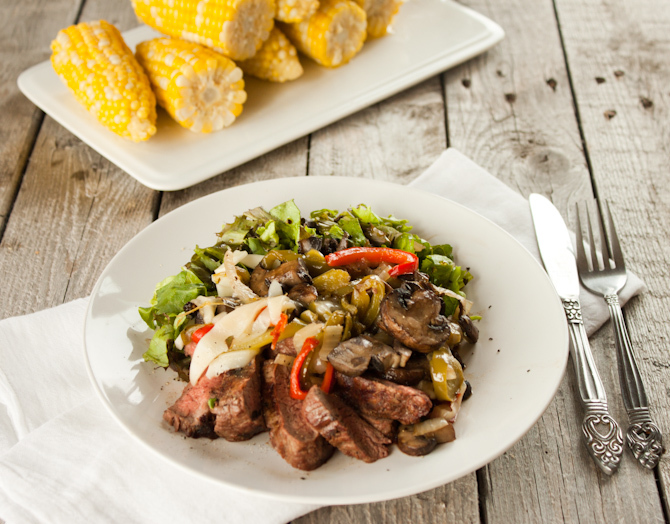 Top greens with sliced steak, provolone cheese and caramelized veggies.